Another animated card set with a humble design. 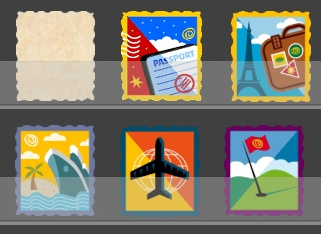 Travel around the world and collect travel stamps on your suitcase. The card design is simple, yet it's quite fun to play with. Version 5.0 of Concentration - the Memory Games is required to show card face animations. If you use an earlier version of the game, card face images will remain still.